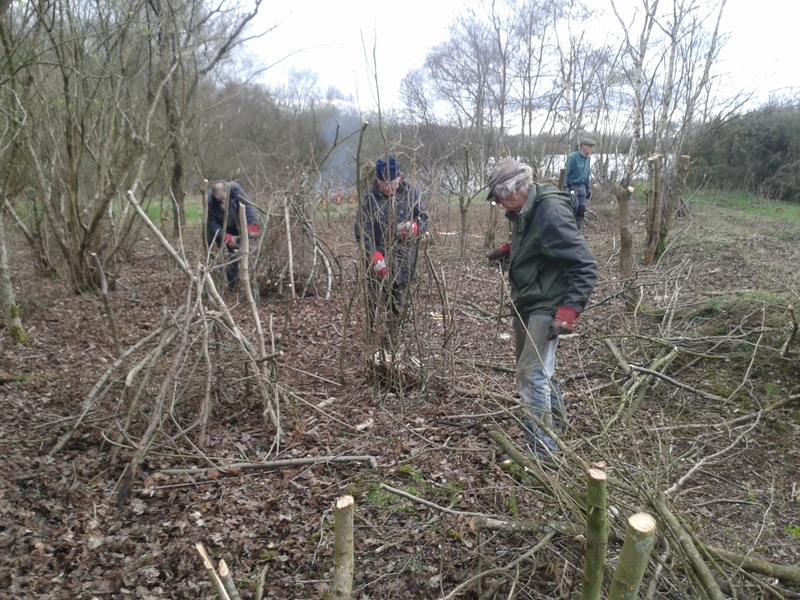 Yesterday the volunteers and I returned to Moor Green Lakes to coppice a section of hazel on the south east corner of Colebrook Lake South. Managing the hazel in a coppice cycle ensures we maintain low dense scrub which is ideal for nesting birds. 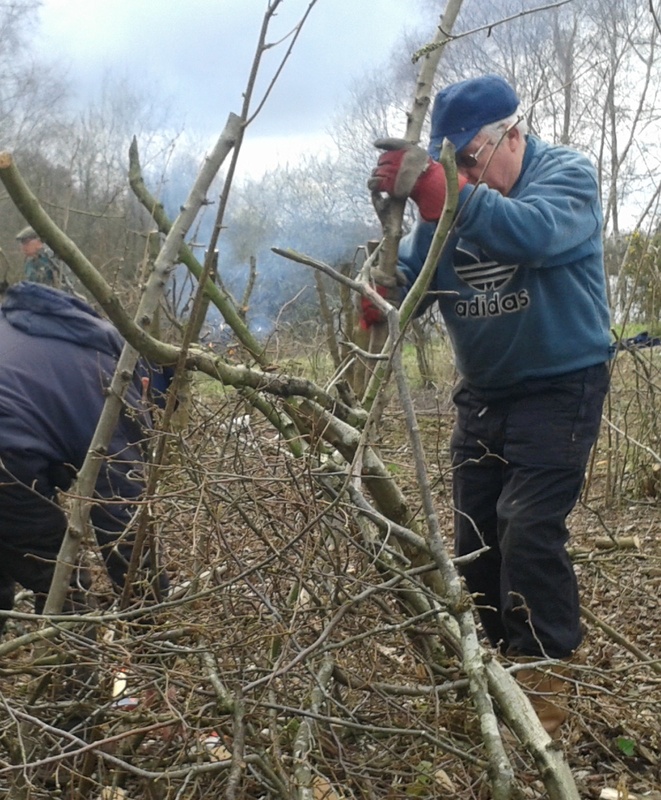 This coppice regime also keeps traditional skills alive by harvesting the sustainable hazel, which was used last month to lay the hedge by Colebrook Hide. Yesterday we processed another 50 hazel stakes to be used on a task at Grants Moor in a fortnight. The freshly cut hazel stools were covered over in brash wigwams to reduce deer and rabbit predation and encourage regrowth. Interspersed field maple and hawthorn trees needed to be trimmed to open up the light. Since we don’t need the timber they were pollarded above deer munching height at 5ft. It was great to get a block of over-mature scrub cleared, so thank you to everyone who helped out. This entry was posted in Conservation, Moor Green Lakes, Sites, Volunteers, Wildlife and tagged Moor Green Lakes, Tuesday Volunteers, Volunteers. Bookmark the permalink.